The Olympic medallist said she did not face any tough opponent in the 48kg category at the World Championships which she won recently. 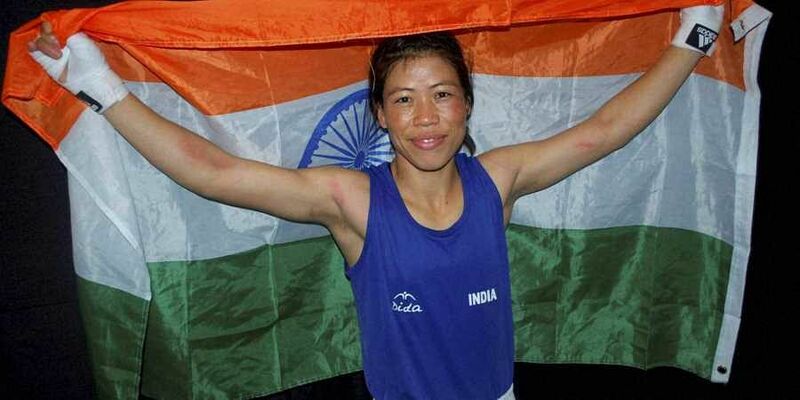 MUMBAI: Difficulties in finding a suitable sparring partner among women has led six-time world boxing champion Mary Kom to think of hiring a tall male boxer to practice in the ring again after six years. "It is difficult to get a (sparring) partner also. Here we don't have partners and they don't want to help. After the Worlds (Championships in Delhi), those who did not get the chance - they ran away. Only a few people are left," said Mary, who won a record sixth world title last month. If my training is not there (going well), I will hire taller guys and then train with them. Last time, for 2012 (London Olympics), I did the same at Balewadi (in Pune)", Kom told reporters here. "(During the) World Championships, I have noticed those who are fighting in the 51kg category. Some are finding it tough in the qualification. Others are normal. I have got all the videos ready and will prepare accordingly," she said when asked about her plans for the 2020 Games. Asked about her recent title triumph in the World Championships, Mary said, "In the 48kg category I didn't face any tough competition. The draw was normal for me. The confidence level was high. Before the World Championships, I won the Asian Championship in Vietnam. I knew a lot of boxers who were stronger. I was expecting some would be stronger than me. When I saw them, I realised they were not strong." "(There was) One tournament in Poland, I experienced 2 kg (weight) loss, it really helped me. I was more confident. North Korea had taller boxers. I had beaten them in the finals of the Worlds. I had beaten them in the Poland tournament (too). I never fought the Chinese before; they are smart, clever and intelligent. I am better than them in terms of quality and experience. I don't miss out on any training," she added.